Newly remastered, The Wacky World Of Peafowl, The DVD, Vol. 1 & Vol. 2, Newly released, The Adventures Of Purdy Peacock, the DVD, & The Wacky World Of Peafowl, The DVD, Vol. 2, See the movie trailer of all below! At last, Mr. Peacock & Friends, season one is available on DVD. The DVD includes all of the 19 episodes including the following segments: introduction to the show, tour of the peacock farm, The Wacky Peacock Song, blue peafowl, white peafowl, black shoulder peafowl, cameo peafowl, incubating hatching eggs, hatching peachicks, peachicks get new home, peacocks showing off, peacocks losing feathers, juggling feathers, peachicks new home, peacocks & pets, dancing peacocks, yelling peacocks, peacocks and weather, what peacocks eat. The DVD is 96 minutes long and Dennis Fett is the host and creator of “Mr. 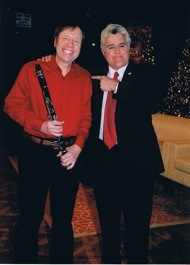 Peacock & Friends,” As a music educator in the classroom the last 38 years along with being a worldwide peacock expert for 33 years. He has a record of writing more on peacocks/peafowl and producing more videos on the subject of peacocks/peafowl than anyone else in the world. The co-host on each show is Mrs. Peacock (Debra Joan Buck). Dennis Fett’s (AKA Mr. Peacock) quirky personality along with his “Mr. Rogers” like personality has kids (and adults too) enjoying learning without realizing they are learning. This is something needed in today’s TV/DVD market place. “Mr. Peacock & Friends,” will even find the parents wanting to view each show along with their child. Mr. Peacock and friends is a kid friendly program and the recommended ages are 4 to 13+ years old. However we are learning that adults are finding this wonderful show as entertaining as the young people. So you will want to get a copy for your children, nieces, nephews, grandkids and neighbors and anyone who loves peacocks. The cost of the DVD is $25.95 by the USPS, USA Only. Credit card orders only (USA only) $19.99 using PayPal. Click here to order with your credit card. Please note, for your protection and ours, Credit Card/PayPal orders must be shipped to the address that the credit card is billed to regardless what it says on the PayPal order site. 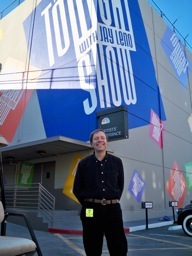 the TV show on line! The Adventures of Purdy Peacock, the DVD brings good Cheer for Everyone! Do you love peacocks and are you fascinated whenever you see them? Then you will love this new children's video ! The Adventures Of Purdy Peacock is brought to life by way of his colorful world with heartwarming and inspirational stories in his first DVD! Join Purdy Peacock as he takes his family on a trip to the zoo in search of his long lost relatives. After your trip to the zoo, go along with Purdy on a vacation to the State Fair. You'll want to stay around a bit longer and watch Purdy Peacock make a new friend. You will be surprised when Purdy helps a family in need during the holiday season. We are sure you’d like to see the cute little baby peachicks roam around on Purdy Peacock’s beautiful farm. The Adventures of Purdy Peacock stories have a meaningful message showing kindness and hope in this ever changing world. They show the struggles of being poor and the mysteries of life itself. You will be encouraged after watching this very uplifting and inspirational collection of short stories for the entire family. These inspirational stories are based on true events that actually have happened and are narrated and written by Debra Joan Buck of Minden, Iowa. Debra Joan Buck (Also Known As Penny Anna Buck) was born and raised in Iowa and grew up extremely impoverished. Her creative work, Purdy Peacock relives the time her family only had one hot dog apiece to eat for their Thanksgiving meal. Another story tells how the family was so poor they could not afford to buy a Christmas tree and had to cut down small trees along the roadside just so they could decorate a tree for Christmas. We are sure that your entire family will want to watch this wholesome video over and over again. You've got to check it out! The Adventures Of Purdy Peacock, the DVD, is accompanied by stunning original video and was filmed on location at Purdy's Minden, Iowa Peacock Farm. The Adventures Of Purdy Peacock, the DVD, is 76 minutes long. It features 11 heartwarming short stories : Mystery On The Farm, A Stranger On The Farm, Peachicks, A Halloween To Remember, What A Zoo, The Rain Storm, Hollywood Adventure, A Day At the Fair, A Most Unusual Thanksgiving, The Blizzards, and Holiday Dreams. Now, for the second time in the history of peacock/peafowl world, there is a second video/DVD approximately 77 minutes long that gives you additional instructionaland visual views on raising peacocks/peafowl. The Wacky World Of Peafowl DVD Vol. 2 was produced, written, directed and filmed by Dennis M. Fett and his wife Debra Joan Buck right on their own peacock farm in Minden, Iowa. The couple will personally guide you through 40 segments featuring: Are peafowl for you, peafowl color types, peafowl living with dogs & cats, nesting peahens, heating for peachicks, pen size, repairing pens, cleaning pens, white peacocks, peacocks yelling, peafowl feed, feeding time, peafowl & oregano, rain & peacocks, peacocks roosting, fighting peacocks, displaying peacocks, peacock losing feathers, decorating with peacock feathers, sorting old peacock feathers, cleaning peacock feathers, peacocks on pick-up and cars, peacock shipping containers, kids & peafowl, training peacocks, peacocks & snow, and peacock ghost. This DVD is perfect for the first time peafowl owner (novices) and experienced peafowl breeders small & large. The Wacky World of Peafowl DVD, Vol. 2 is also a good educational tool for 4H, FFA projects and science fair students in grades 3-12. Finally, The Wacky World of Peafowl DVD, Vol. 2 is also for anyone in the city who always wanted a peacock but unable to have them where they live. This video will provide the viewer approximately 77 minutes of viewing pleasure showing peacocks doing what they do best, "Showing off". Get a sneak peak of The Wacky World Of Peafowl DVD Volume 1 newly remastered. Now, for the first time in the history of peacock/peafowl, there is a video DVD approximately 82 minutes long that gives you an instructional and visual view on raising peacocks/peafowl. This DVD is a companion to the two best selling peafowl books, The Wacky World Of Peafowl, Volume 1, first published in 1986 and The Wacky World Of Peafowl, Volume 2, first published 1990 and the Peafowl Report Newsletter founded in 1991 and is still going strong today after 16 years. 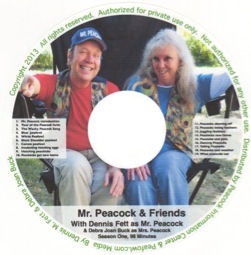 The Wacky World Of Peafowl DVD was produced, written, directed and filmed by Dennis M. Fett and his wife Debra Joan Buck right on their own peacock farm in Minden, Iowa. The couple will personally guide you through the circle of life regarding peacocks, peahens and peachicks. The circle of life starts with the peahen's egg laying process, candling hatching eggs, egg hatching and a fascinating view of a peachick developing in the egg showing the embryo moving inside the egg, the peahen's nesting habits, a cat attacking a peahen and her peachicks, brooder house for peachicks, types of incubators for hatching eggs, species, the fighting peafowl, feather production and molting feathers, watering peafowl in summer and winter, feeding your peafowl and the kind of feed to use, peacock and peahen sounds, pens and housing size, and see how peafowl survive in the snow! The Wacky World of Peafowl DVD is also a good educational tool for 4H, FFA projects and science fair students in grades 3-12. Finally, The Wacky World of Peafowl DVD is also for anyone in the city who always wanted a peacock but unable to have them where they live. This video will provide the viewer approximately 82 minutes of viewing pleasure showing peacocks doing what they do best, "showing off". In 1989, Fett director and founder of the Peacock Information Center woke up in the middle of the night with a musical melody in his head. After transcribing it to music paper he asked his wife, Deb, to write the words. Their musical creation, "The Wacky Peacock" gained national attention. They were invited to be a guest on a national talk show making their national television debut on the Lifetime channel show called "Attitudes" starring Linda Dano, in New York City in 1990. Now in 2006, the music of this funny and humorous song was put to original video of the Peacock Information Center owned peafowl. After 100's of hours of planning, producing, filming and editing this two minutes and 35 seconds DVD music video is now available. Order your copy today by USPS mail for for a total of $9.99. Credit card orders (USA only) $9.99 (sent priority mail) using PayPal. Click on PayPal button below to order. Preview for free The Wacky Peacock Music video. We placed a internet quality clip of this funny and entertaining video for you to see. The DVD sent to you is of the highest quality for viewing on your TV. Order today and enjoy.